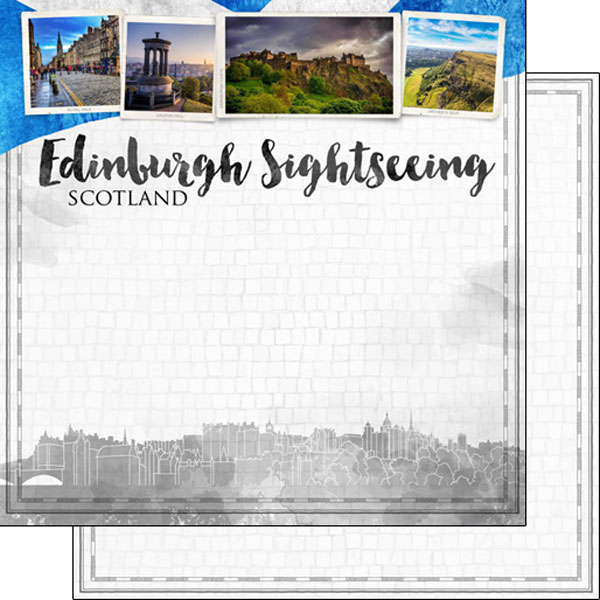 Document all the sights you took in during your time in Edinburgh with the City Double Sided Paper from the Sights Collection by Scrapbook Customs. There is one 12" x 12" sheet included in the package featuring images of Edinburgh, the city skyline and "Edinburgh Scotland Sightseeing" on one side and a cobblestone pattern on the other. Made in the USA.